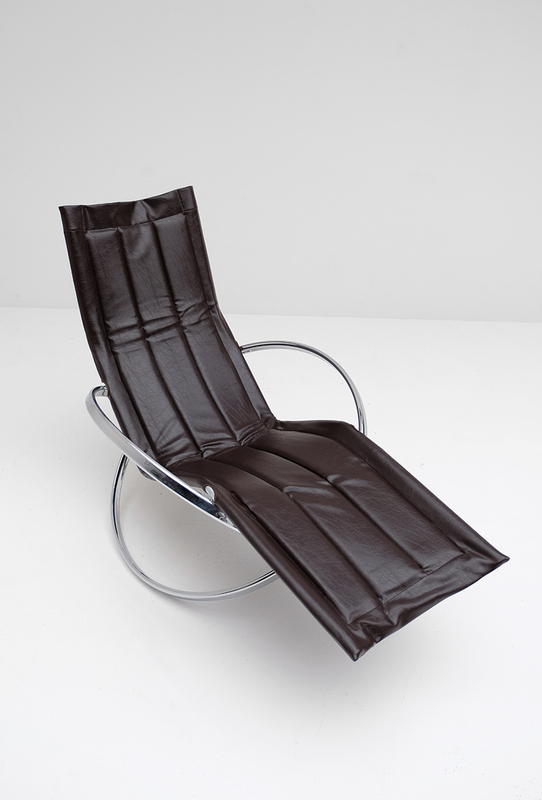 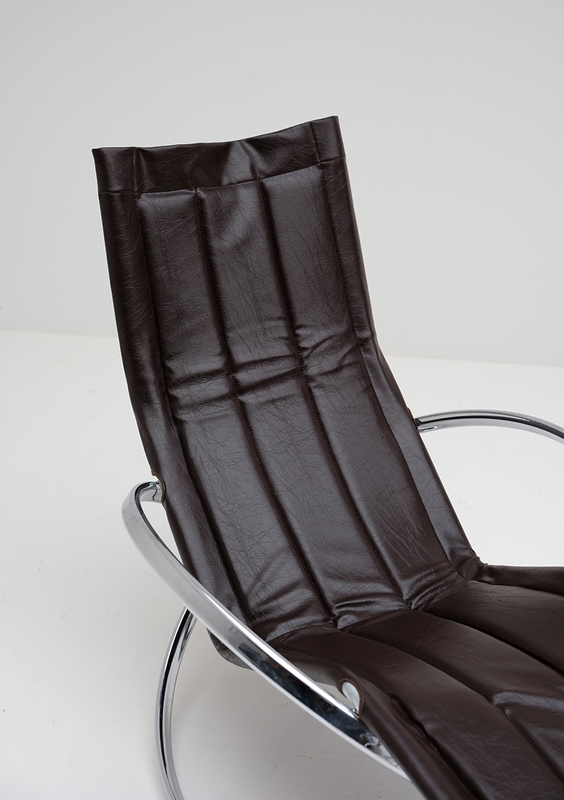 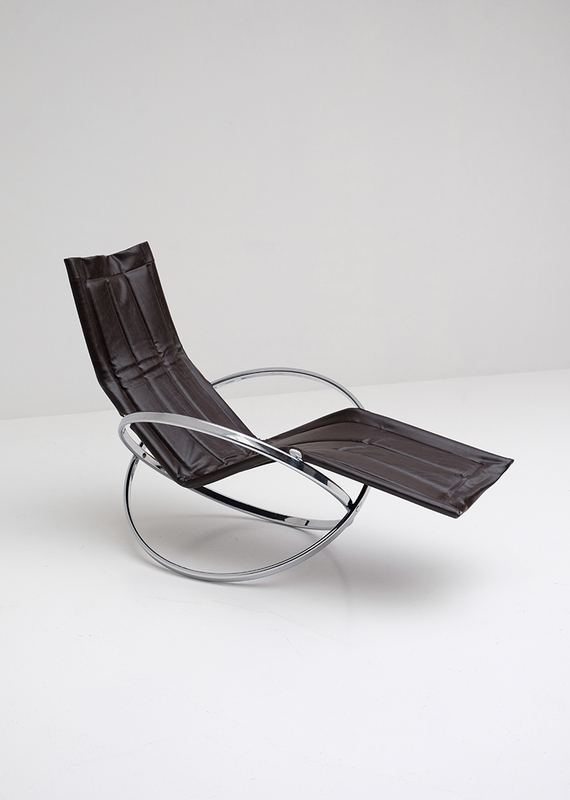 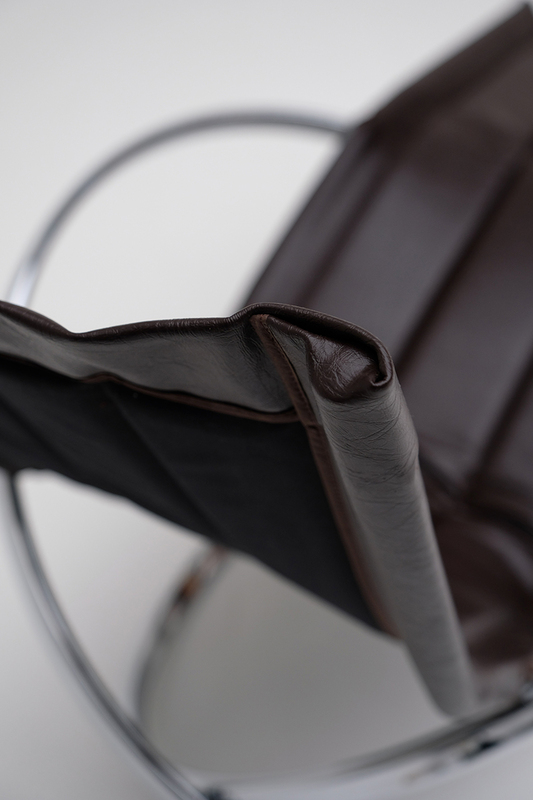 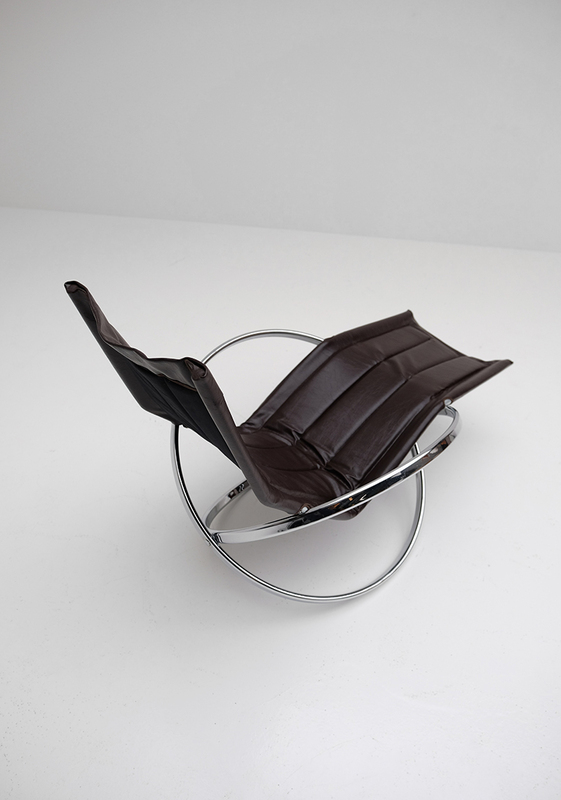 Jet Star deckchair in metal and leather by Roger Lecal. 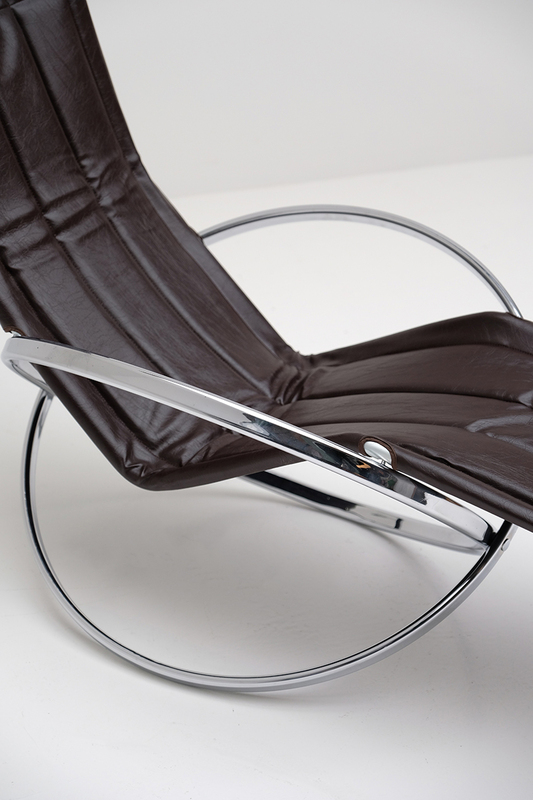 Seat in dark brown semi leather resting on a two large chrome metal rings that also function as legs and armrests. 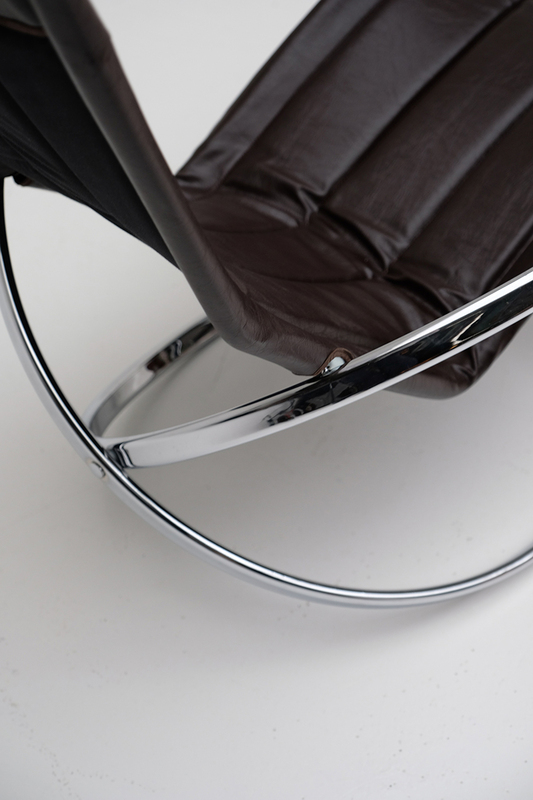 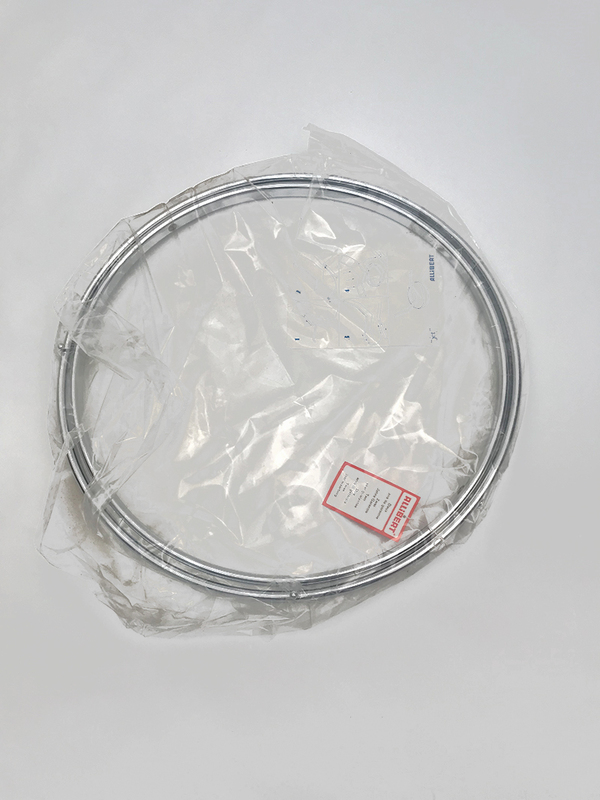 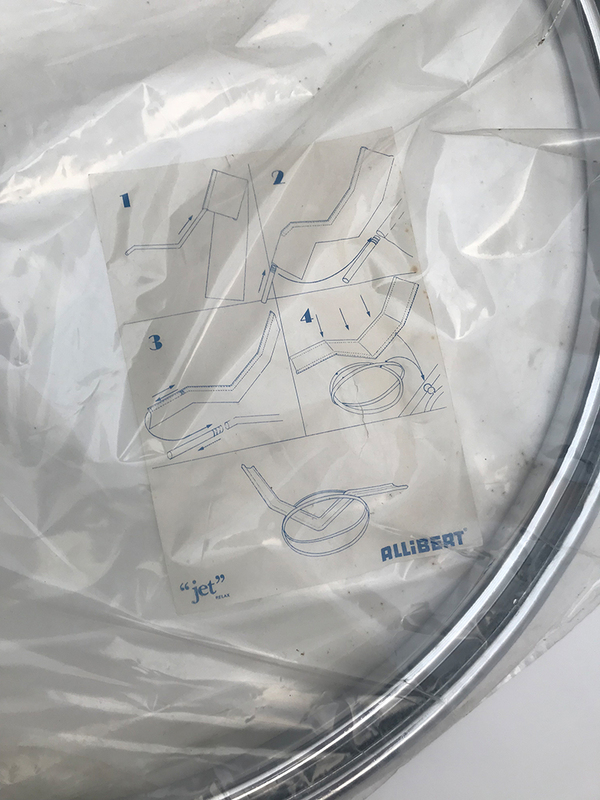 The chair comes from death stock and comes with the original labels, manual and box.